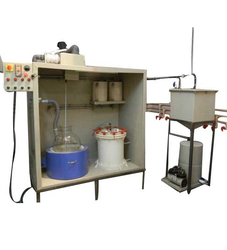 Our range of products include magic gold refinery machine, glass reactor for 50 kg gold, gold refining unit and gold refinery. We are dealing in the field of refining of all metals. We are using new techniques and pieces of machinery to refine these metals like gold, platinum, silver, palladium. 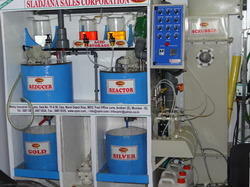 Magic Gold Refinery is used to refine all scrap and process waste in shops and even showrooms too. 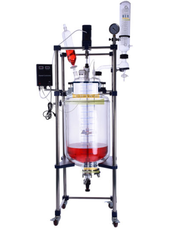 It is reaction vessel made up of glass For precious metals like gold, it has the facility to heat indirectly to the desired temp and constant stirring also as part of an assembly. Glass Reactor For 50 Kg Gold can be done to the cent % recovery of the gold all hazardous chemical will be added to the reactor by peristaltic pumps. The condenser is fitted on top of the reactor to help to reduce air pollution and save the gold being lost in terms of fumes. Leveraging on our enriched industry experience, we are engaged in offering the clients with Gold Refinery to refine gold to have a purity of 99. 9%. We make use of finest grade quality basic materials, coupled with latest technology to fabricate this Gold Refinery. This is far safer, cleaner and easier. Looking for Gold Refinery Units ?